It’s Monday you guys and I’m here with something fabulous. It took me a week to get back into the swing of things and to recover from my vacation. Why is it that we always need a vacation after a vacation?! Anyway, after adjusting back to my correct time zone and feeling at home in my kitchen again, I dove in over the weekend and cooked and photographed 6 dishes for the blog. Crazy town USA. 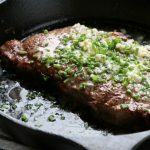 As a food blogger, it’s important to stay informed of new products, food trends, food news etc. . and I’m here today to tell you about Le Creuset’s new line of Stainless Steel cookware. We all use and love their enameled cast iron cookware and bakeware, casserole dishes, skillets, grill pans and griddles, roasters and more. And we all know Le Creuset is a quality product so I knew their Stainless Steel saucepan was going to rock. 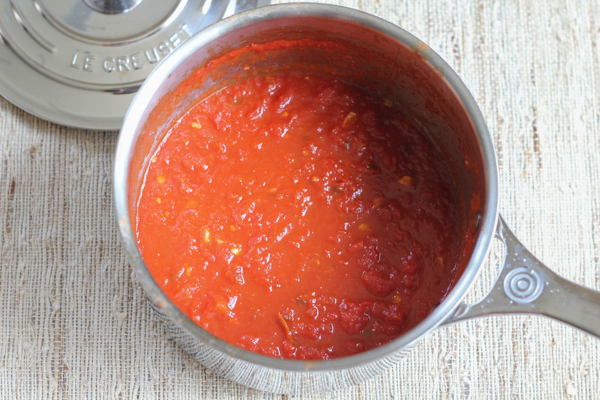 I made my favorite homemade marinara sauce and loved it! This stainless steel saucepan heats up tremendously fast and evenly and has a self-sealing lid that locks in moisture, while a relief vent releases steam to prevent boil-over. The inside layer is made of surgical-grade stainless steel for a safe and stable cooking surface and also has laser-etched interior capacity markings on the inside to make measuring easy. I also used this saucepan last weekend to make hot cocoa just to test how quickly this baby can heat up. I love it. Now, I just need the rest of the new stainless steel line! To learn more, click here. Now let’s get to this recipe! It’s Monday so I wanted to make something vegetarian and I don’t know about you but I can’t get enough zucchini in my life right now. 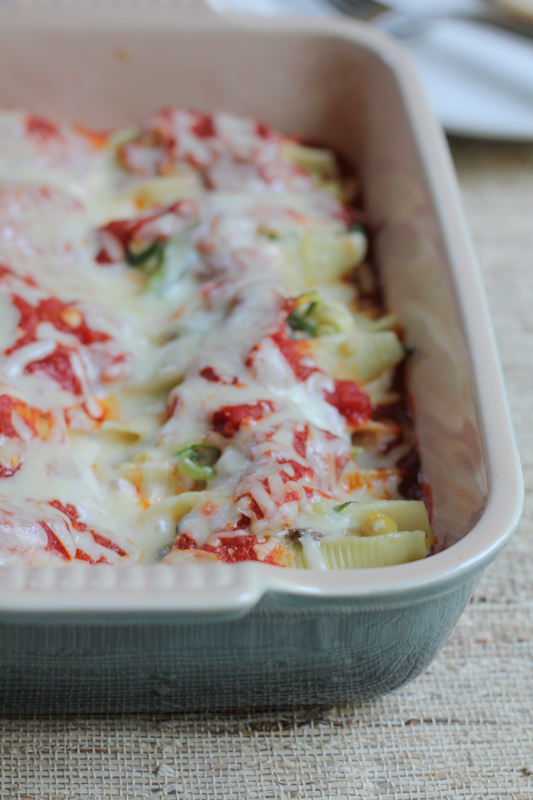 Question for you: when making stuffed pasta shells, do you bake and serve them shell opening side up or down? 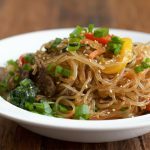 For this recipe, I liked baking and serving them up so you can see the lovely julienned strips of zucchini. Don’t you want to just dive in?! 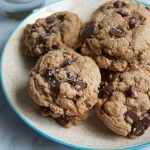 You’ve got to try this recipe! 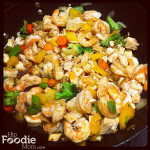 I hope you can enjoy this one for an upcoming Meatless Monday. . or maybe even tonight?!! Heat the olive oil in a medium to large sized saucepan or Dutch oven over medium high heat. Add the garlic, oregano and thyme sprigs and allow everything to cook in the olive oil for about 2-3 minutes. Pour in the crushed tomato sauce and diced tomatoes and mix well. Bring to a boil, turn the heat down to medium-low and let simmer for about 20 minutes. Stirring occasionally. Season with the red chili pepper flakes and salt and pepper. Mix well and let cook for an additional 10 minutes more. Remove from heat and set aside. Remove the oregano and thyme sprigs and discard. Cook the jumbo sized pasta shells according to package instructions; cook to al dente only. Remove from heat, drain, rinse and set aside. Preheat oven to 375 degrees. Using a medium to large sized nonstick skillet over medium high heat, heat the olive oil for about a minute. Add the garlic and onions and sauté for 2-3 minutes. Add the zucchini and mushrooms and cook about 4-5 minutes, until soft and tender. Season with salt and pepper and mix well. Remove from heat and set side. Using a large mixing bowl, combine the slightly cooled zucchini and mushroom mixture (discarding any liquid) with the ricotta cheese. Mix well. Using a 9x13 casserole baking dish, pour in about 1 cup of the marinara sauce on the bottom, covering the dish. Stuff the pasta shells with the zucchini, mushroom and ricotta mixture and place open side up or down (your preference) into the baking dish on top of the marinara sauce. Continue until the baking dish is full. Ladle another 1 to 2 cups of the marinara sauce over the pasta shells and sprinkle the shredded mozzarella cheese over the top. Cover the baking dish with foil and bake for about 25 minutes, or until the inside is heated through. Remove the foil and bake for another 5 minutes or until the cheese is melted nicely. Serve immediately. Disclosure: This is not a sponsored post. The stainless steel saucepan featured above was sent to me to test. All opinions expressed here are 100% my own. This is 27 kinds of gorgeous and SO exciting about the new line! I heart every piece of Le Creuset I own, and know I’d love these too! Thanks so much Erin!! Now I’m eyeing the stainless steel fry pan. . so pretty!! I’m a carboholic from way back and fresh zesty pasta like this is the perfect mid week treat. I also heart Le Crueset anything, so your post definitely appeals to me! Who wouldn’t love bright shiny, new things! oh yes . . love me some bright, shiny new things! Always! 🙂 Thank you Alice! Yes, I do just want to dive in! 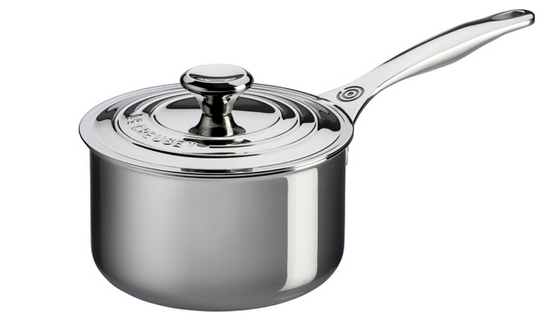 I always love Le Creuset so I definitely need to check out the new stainless steel cookware. 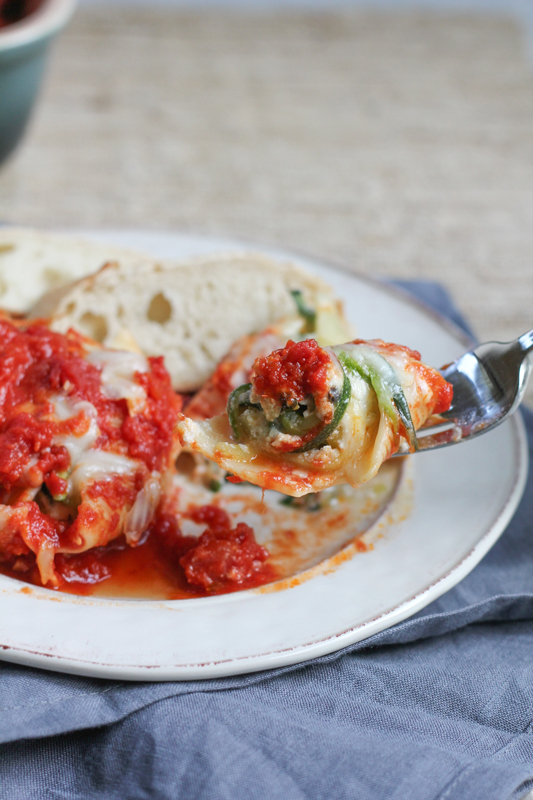 And these stuffed shells look perfect for dinner! Pinned! Thanks so much, Ashley!! yes, definitely check out the new stainless steel line! Yes, I want to dive into this dish, and roll around in it 😀 It seriously looks awesome. I love stuffed anything, and having zucchini in it makes it healthy right?! Or healthier I should say! Great way to hide veggies for kids I bet! Thanks for sharing, Alice. Have a wonderful Monday! This is all kind of goodness!! 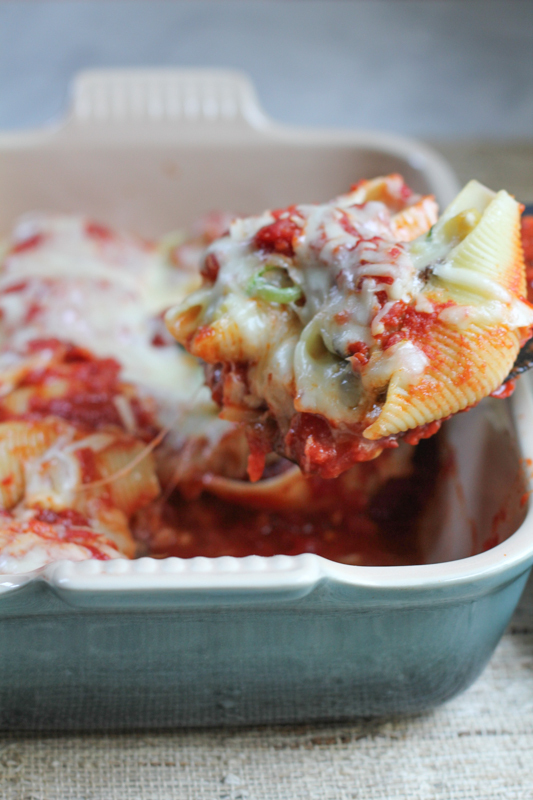 I love stuffed shells and what a great way to use up my veggies leftover from today’s galette. Btw, I feel you on crazy town USA. 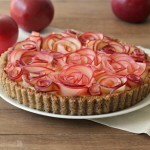 I baked and photographed 5 recipes for the blog this weekend!! Zainab, I feel you sister. . at least we got it done, right? and now we can enjoy our dishes and desserts! I love taking just a few days to cook up a storm and photograph. . for whatever reason, I feel more productive that way. . the only downside is that I end up with a refrigerator (or 2 I should say, we have one in the garage too) full of food. I invited friends over on Saturday to help EAT. I’m printing this out so that I can make this asap, Alice. Lately, I’ve just about given up on menu planning. Tony’s been doing all of it, as well as the cooking (lucky me!) but seriously, I can’t come up with anything tasty and healthy. 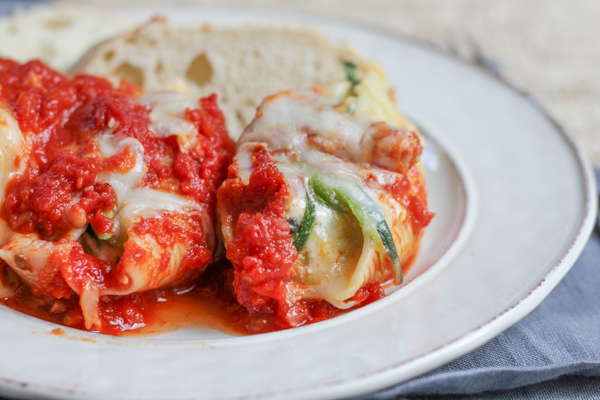 This fits the bill – your stuffed shells look fantastic, as do these beautiful photos. My mouth is watering! Awh thanks so much, Nancy! 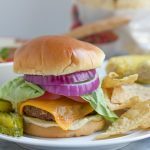 Because of the blog and my kids, I have to keep up with the menu planning but hey, sometimes ordering pizza or picking something up is absolutely in order! and kudos to Tony. Dude, you got yourself a good apple. 🙂 love him! 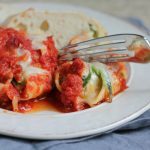 I’ve made stuffed shells many different ways, but have never tried adding zucchini to mine. They look so mouthwatering & delicious. And yay for Le Creuset – they make the best cookware and the new line looks so great!! Thanks so much, Kathi! oh the zucchini is fabulous! I’ve been adding zucchini to everything lately. . you’ve got to try it! and yes, love Le Creuset!! Beautiful dish and equally gorgeous saucepan! I completely agree about the vacation thing.. I’m having a hard time getting back in the blogging swing of things and it’s been well over a week! I do want to dive in to that plate!! It looks amazing. I so badly want these shells piled high on my plate. So much saucy goodness. These look so good! 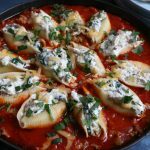 Aren’t stuffed shells the very best? And I completely agree…it does take a long while to get back into the swing of things after vacation! OMG girl these are magical. So I have never tried zucchini as the main ingredient for a dinner but these looks so amazing and fulfilling that I actually think I could get my husband to try it. And they are covered in red sauce which is key for him. Thanks so much, Jocelyn! oh my gawd, girl . . you need to! 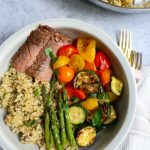 I can’t get enough zucchini this summer and my husband, who is a true meat lover and eater, really enjoyed this dish and although had to state something about there being no meat, love it! It’s really yummy! 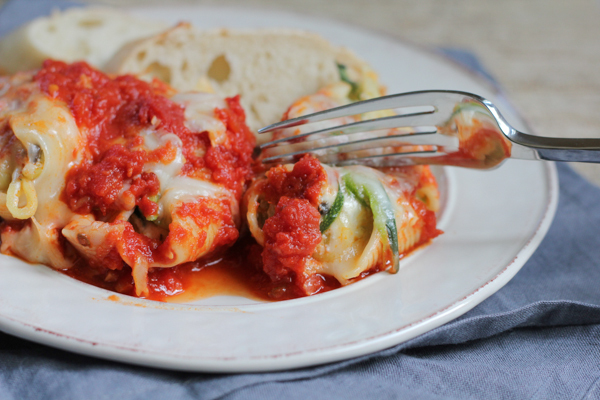 Stuffed pasta is my favorite kind of pasta so I will definitely love this dish! I like making my own marinara too! It’s so much better than store bought stuff! OH BOY! These pasta shells looks SO good. Loving the veggie ingredients Alice! Wow 6 dishes? Way to go Alice, that is crazy town! You bet I want to dive right into this dish! It looks mouthwatering and such an awesome way to use up some zucchini. Love Le Creuset and the stainless steel line looks great! 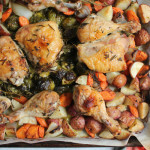 Must make this for dinner!! Thanks so much for the visit, Marla!! 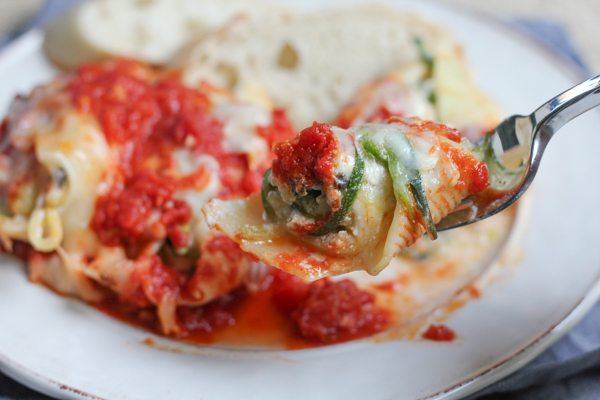 you will love this stuffed pasta! This is lovely. 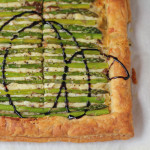 I really need ways to use our Zucchini in savory ways, and I can’t wait to make this!!! Thanks so much Amanda! 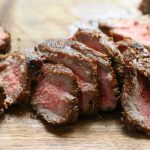 My meat loving husband even loved this! 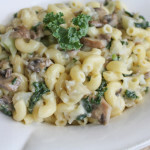 This looks absolutely delicious, Alice – perfect for summer and a Meatless Monday dish! Thanks so much, Melanie! I hope you give this one a try!